Scientists have discovered a cache of over 100 new exoplanets using data from NASA's Kepler Space Telescope (KST) as well as ground-based observatories. Exoplanet, also called as extrasolar planet, is a planet that orbits star other than Sun. The discovery of 100 new exoplanets is expected to play a large role in developing the research field of exoplanets and life in universe. KST is an unmanned space observatory launched in 2009 by National Aeronautics and Space Administration (NASA). It was tasked with determining how many Earth-like planets occur throughout the Milky Way galaxy. 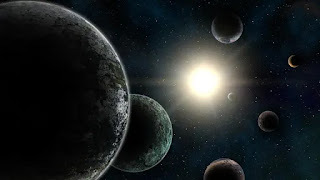 It was designed for statistical mission and not to probe into environmental conditions of planets that exist in so-called Goldilocks zone (Habitable zone) of their stars. It finds planets by using transit method. It works on the detection of tiny brightness dips caused by a planet after it crosses its host star's face from the spacecraft's perspective. Transit method technique requires extremely precise pointing of spacecraft. KST had experienced mechanical trouble in 2013, which led to a successor mission called K2. Astronomers around the world are competing to confirm exoplanets suggested by K2 data. NASA had retired KST in November 2018 after it ran out of fuel needed for further science operations. In its mission lifespan of nine-and-a-half year, it had discovered over 2,600 intriguing exoplanets from outside our solar system some of which may harbour life. Q. Scientists have discovered a cache of over 100 new exoplanets using data from NASA's which telescope as well as ground-based observatories?